A complete, intuitive and accurate POS, fully integrated to the total ChainDrive solution. Thank you for your interest in ChainDrive Point of Sale! Please fill out the form to download the ChainDrive Point of Sale Fact Sheet. 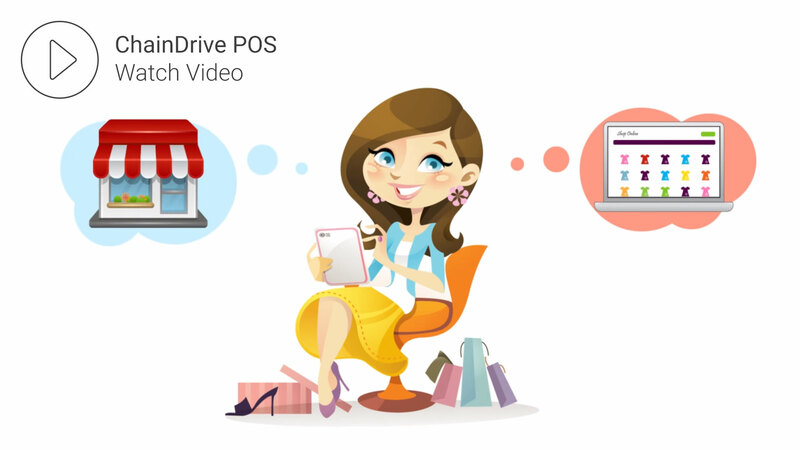 Want to see ChainDrive Point of Sale in action? Request a Demo! More than just a system of transaction, it’s a system of engagement! Improving in-store efficiencies and being more responsive to your customers’ demands is imperative in today’s retail environment. Today’s consumer expects a more compelling, advanced and personalized shopping experience across all paths to purchase. Maximize your staff productivity, simplify the checkout process, optimize inventory and fulfillment and create personalized experiences that drive sales with ChainDrive Point of Sale. Central to the retail enterprise, ChainDrive point of sale is a modern, feature rich, intuitive retail solution that unifies all channels and provides a seamless experience for both store associates and shoppers. ChainDrive’s intelligent point of sale solution effectively bridges the in-store and online selling environments enabling store associates to provide a unified service that accommodates the preferences of their customers. Developed and designed to help drive the in-store experience, ChainDrive point-of -sale leverages a centralized database, allowing store associates to access to real-time information on customers, products and chain-wide inventory availability. Boost customer and sales associate engagement and improve the in-store experience with mobile POS. By arming sales staff with ChainDrive on a windows-based tablet you can service customers anywhere throughout the store; delivering personalized service, cultivating customer loyalty, and providing a seamless checkout experience. Build your community of loyal customers and deliver personalized shopping experiences with ChainDrive’s POS customer relationship management. 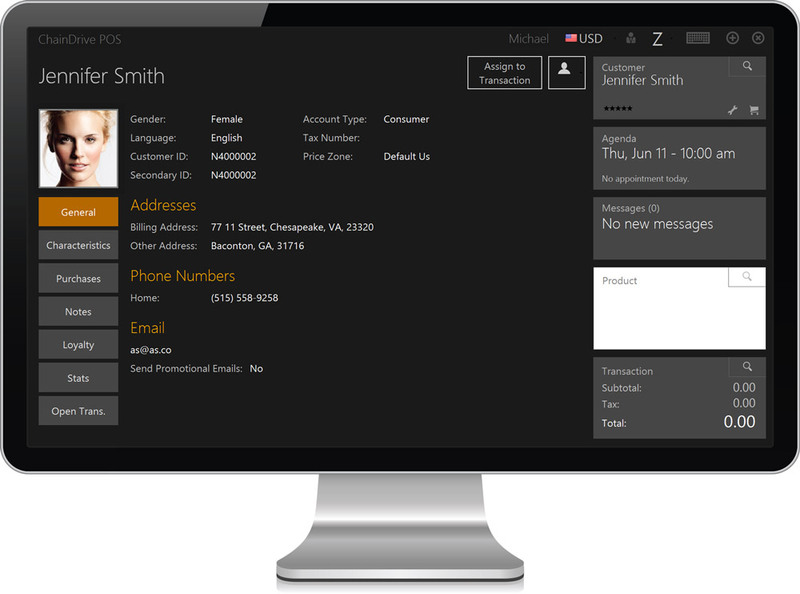 Capture and collect customer profiles, preferences and buying habits. Identify shopping behaviors, patterns and trends and create targeted offers that drive sales and loyalty. Truly connect and engage with your entire organization by creating a culture of communication. 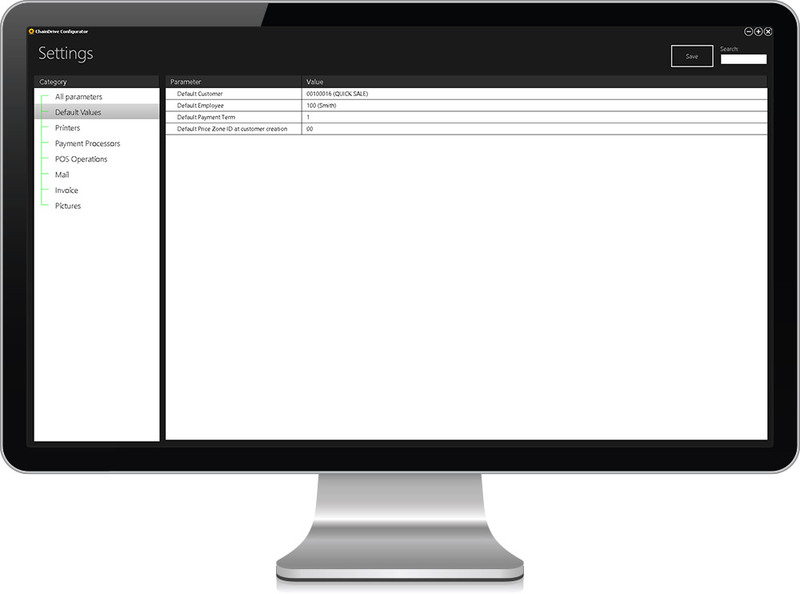 The ChainDrive Integrated Internal Messaging tool allows you to quickly connect with store associates and internal staff across the enterprise. IIM empowers your workforce with real-time information and resources so that they can deliver highly personalised and intelligent customer experiences. Sales associates have real-time visibility into accurate enterprise-wide inventory status. Servicing the demands of customers and fulfilling their orders is simplified with ChainDrive’s product look-up. Product availability can be located by user-defined product attributes or right down to the SKU and can be ordered, processed, transferred and delivered based on the customer’s preference. Create multiple and layered promotional campaigns with ChainDrive’s promotional rules manager. 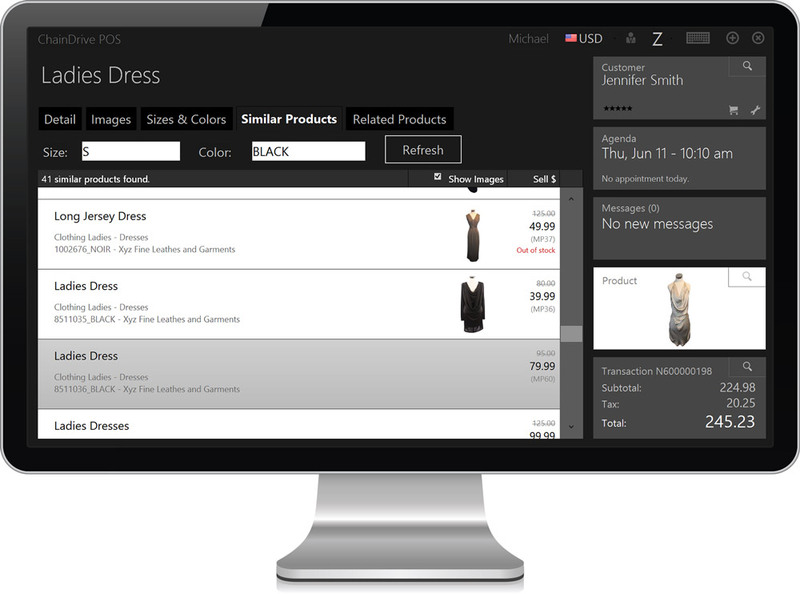 This dynamic feature is fully transparent at the point of sale, all markdowns and item promotions can be deployed enterprise-wide or specific to location, store or customer. 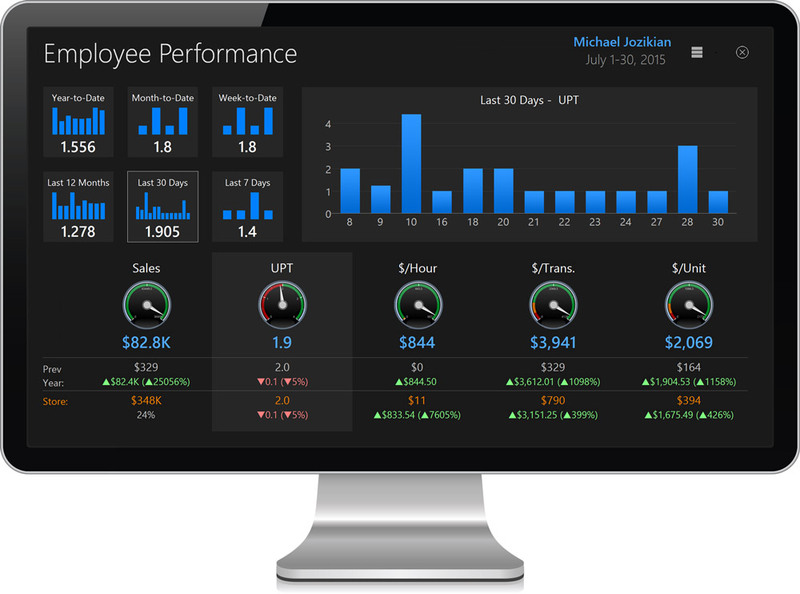 Gain instant insight into store performance, merchandise performance and employee performance with ChainDrive’s dynamic dashboards. 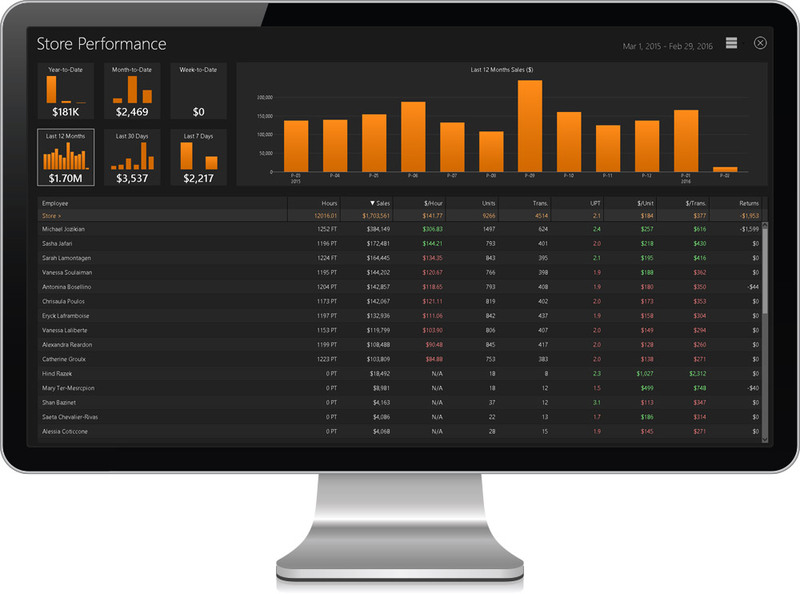 Monitor staff sales by date, units per transaction, $/hour, $/transaction and $/unit. Examine the performance of products by department, class and sub-class and analyze store performance by day, week, month and year. ChainDrive workforce management goes far beyond simple scheduling. By analysing data obtained by performance monitoring, retailers will be able to make smart decisions when it comes to scheduling and allocating staff. Key functionality such as copy/paste, view and print, actual versus schedule monitoring, security and control settings and hourly rounding rule options, whereby all of your actualized hours are fed back to our centralized database for payroll compiling. 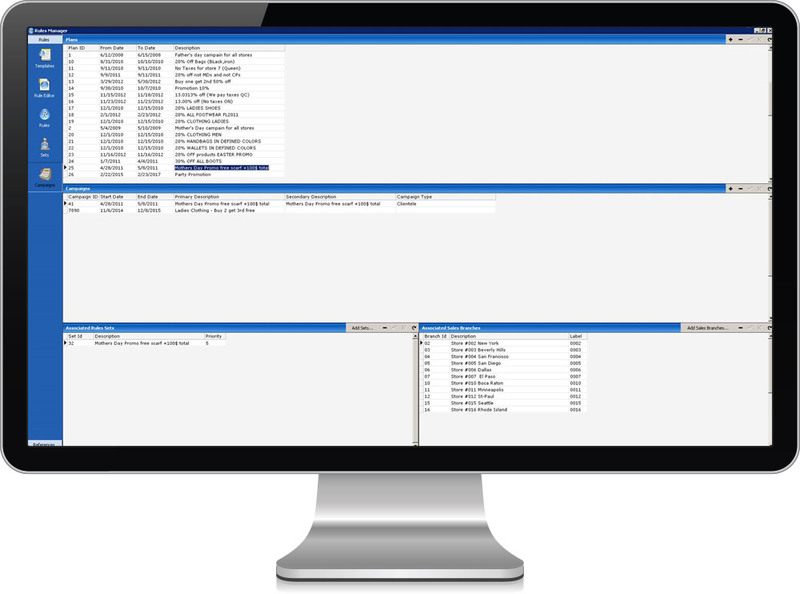 ChainDrive's user-definable action and security settings grant you full control over your Point of Sale Software environment by letting you configure it to your specifications. The system's numerous action and security parameters allow you to govern workforce management, discount rules, access to the till and much more, transforming your Point of Sale into a comprehensive business tool that is flexible and secure.